Home Uncategories On Popular Demand #VPL is Back! On Popular Demand #VPL is Back! After receiving an overwhelming response from our dear users, we were forced to extend #VPL and we are glad we did. Yes! 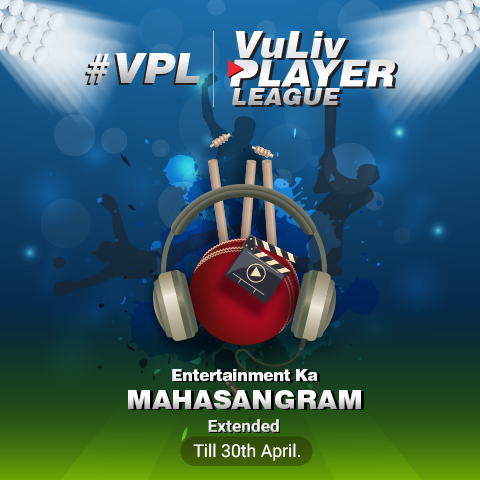 You heard it right, #VPL – VuLiv Player League has been extended till 30th April 2017 with a twist of Power Play. 1. #VPL contest is open to the registered users of VuLiv Media Player on Android and iOS. Keep listening and watching, enjoy your music with VuLiv Media Player to pick wickets for your team and watch videos from your media and Play to score runs. 4. The winners will be announced on 18th April, 2017 on VuLiv Media Player Facebook page/community.